Today the 23rd edition of Malofiej ended, the jury of the International Infographics Awards, organized by SND-E, gave medals for the best in graphics of the 2014. A great honor for us in GN Medios has been awarded with two silver medals, one for the special of the 75th Batman anniversary in print categories, and an other for the Market of Soccer players data visualisation of online graphics category. Congrats for all my visual team at GN Medios. 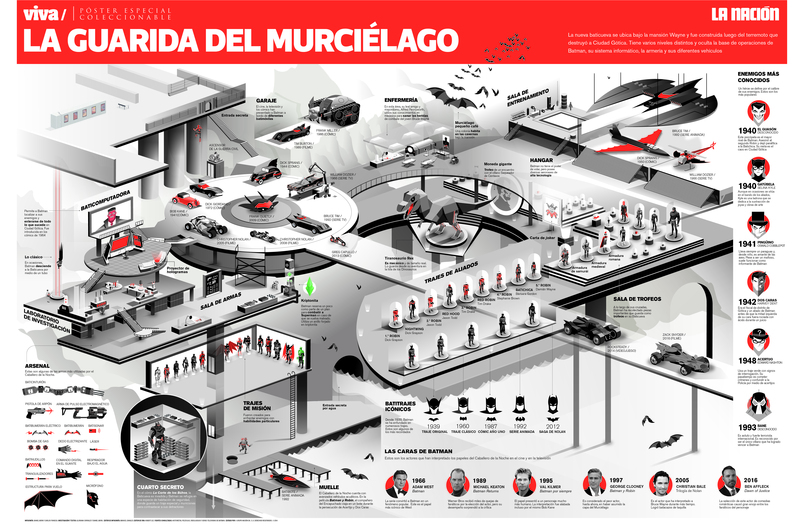 The Bat cave, Special information graphics in poster format. 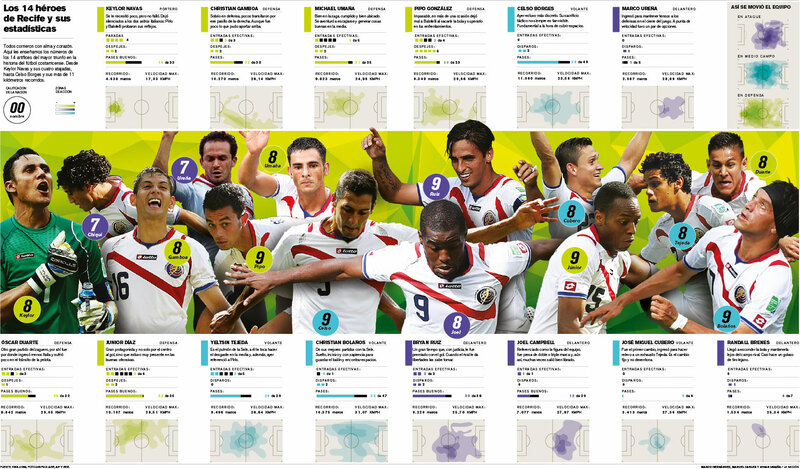 Special mini-site: Soccer players transfers in Costa Rica / La Nación. Yesterday the Society for News Design (SND) announces on his site the full list of winners of the 36th edition in print categories. The visual team of GN Medios gets 10 awards of excellence, 5 of these for the department of information graphics. Some of these works includes: the World Cup Brazil 2014 coverage, Special posters as the collection of the Human Body and the Batman 75th anniversary. 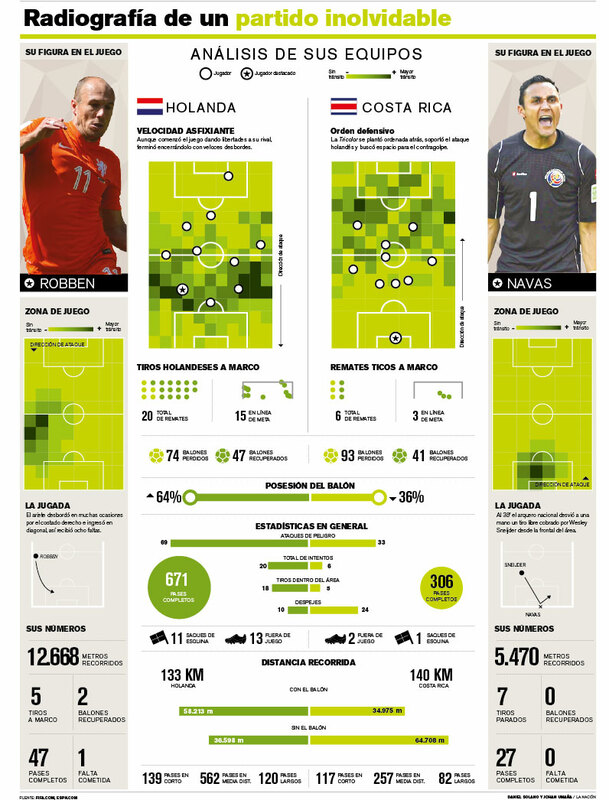 Graphic coverage of FIFA World Cup Brazil 2014. La Nación 2014. Marco Hernández and Manuel Canales. 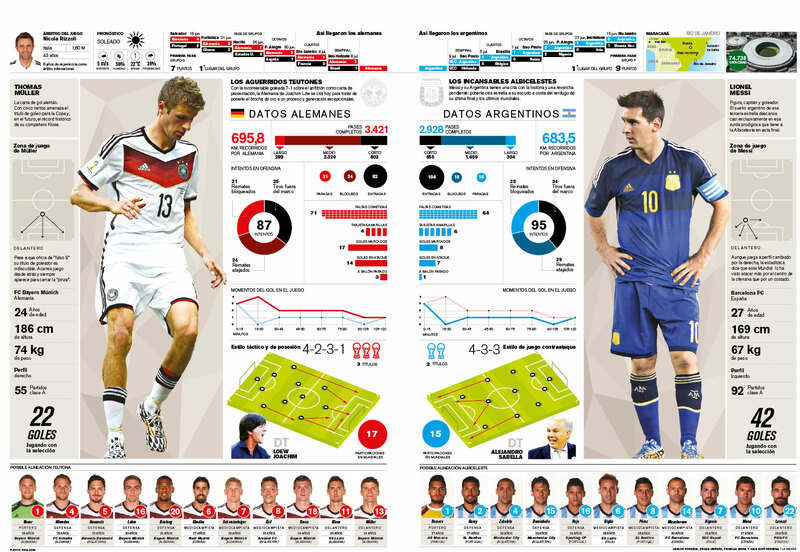 Graphic coverage of FIFA World Cup Brazil 2014. La Nación 2014. Daniel Solano and Johan Umaña. Graphic coverage of FIFA World Cup Brazil 2014. La Nación 2014. Staff / Infographics Dept. 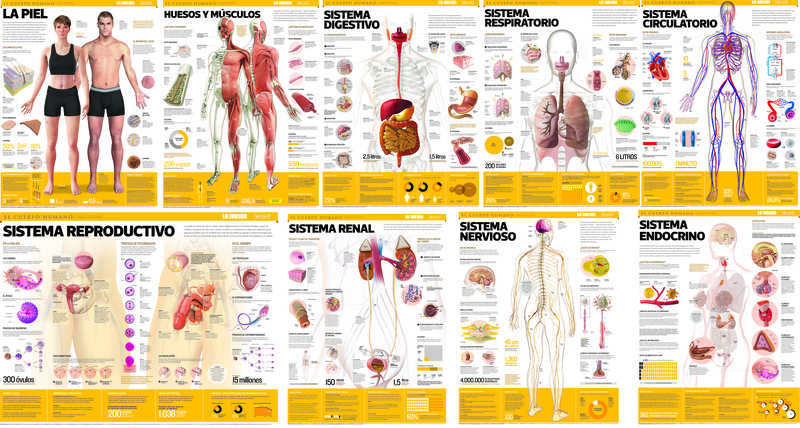 The collection of posters of the Human Body. Staff / infographics Dept. The Bat cave, Special information graphics in poster format. Carlos Fonseca, Manuel Canales and Dan Mora. The Society for News Design announces an award of excellence for the dataviz project “Fichajes del torneo de invierno 2014 en Costa Rica” The competition was held the weekend of February 20 at the Ball State University Indianapolis Center, and receive about 900 entries from all the news media in the world. It is really a pleasure share this news, this because in Latinamerica just two media has been recognized for digital works. Especial de fichajes del fútbol de primera división de Costa Rica. // La Nación, 2014.